Spent 5 years in the Swedish Culinary Olympic team, worked as a Chef in Chicago, a Sous Chef in London and as a Chef at the Swedish Embassy in Rome. Fredrik grew up in the countryside and forests of Värmland, in the midlands of Sweden. A true entrepreneur who has started, run and been involved in many award-winning restaurants. 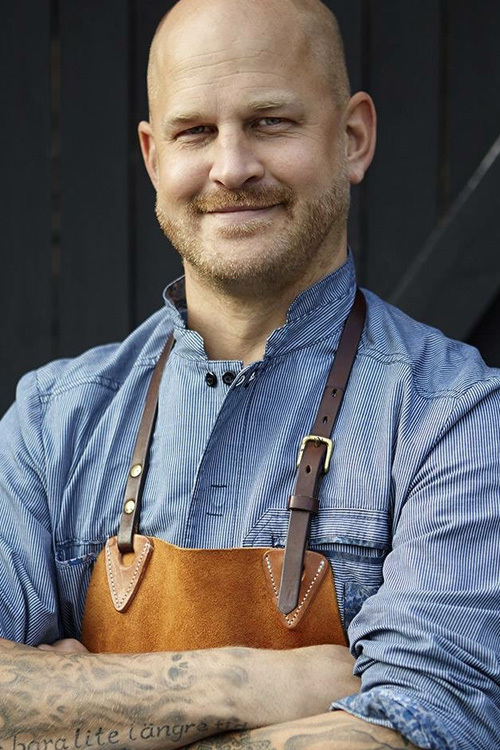 Fredrik has released a cookery book ”Smak av Gotland” (“The Taste of Gotland”) and has become a well-respected meat specialist in the industry, working as a consultant for different clients including the Swedish Meats association. Since 2015, Fredrik is an Ambassador for Santa Maria’s premium Tellicherry Black Pepper in Sweden. And in 2016 Fredrik started working as the Food & Beverage Manager at the beautiful Grand Hotel Saltsjöbaden in Stockholm.